I left Salta in the early afternoon to come to Tilcara. 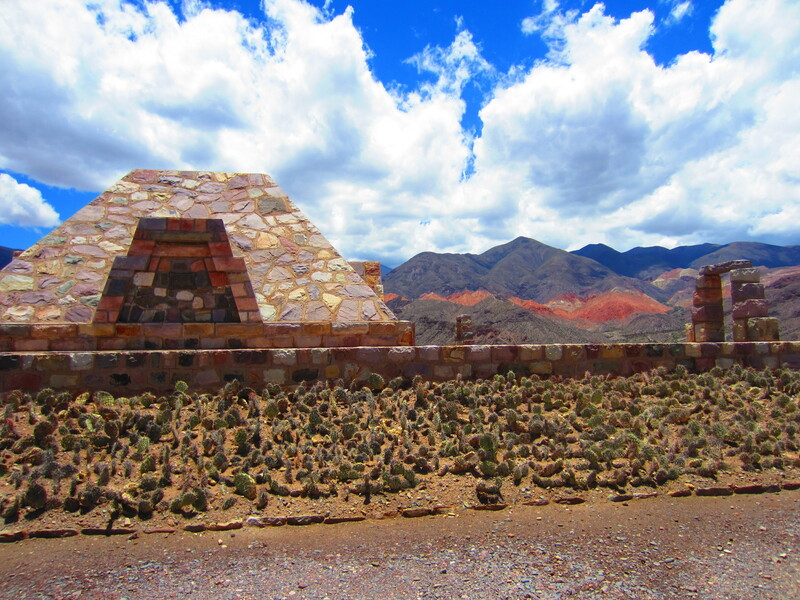 It is a tiny village 4 hours north of Salta. I arrived and upon exiting the bus, a man approach me, his name is Martin, and asked me if I had a place to stay. I had nothing in mind so I followed him to his hostel. At 25 ARG Pesos ($6.25 CAN) per night including breakfast – thats a pretty good deal! I do love the vibe of this city, its easy flow and its cheerful people. When I sat in the central plaza with the sun in the clear blue sky, all I hear is laughter and friendly conversations. The old man next to me calls out to about 10 of his friends who are passing by. This is the good life. 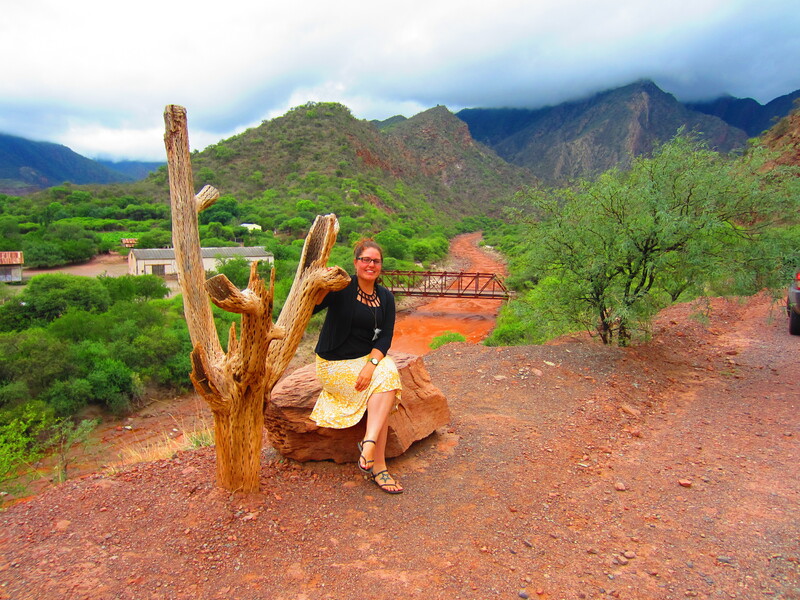 The Quebrada de las Conchas (Valley of the Shells), also known as Quebrada de Cafayate, is a closed valley or ravine known for its beautiful scenery in the province of Salta, Argentina, near the town of Cafayate. So, I quit my job, and decided to travel South America for the next 4 months. So where will I be going? Living in Buenos Aires are 8 Months – you find some GREAT places to eat and enjoy. So what is Argentine cuisine include? Beef Beef and more Beef. Basically. Argentina is known for the amazing quality Beef. Argentine annual consumption of beef has averaged 100 kg (220 lbs) per capita. Are you convinced about the Beef Yet? Wine Wine Wine Wine Wine – With a famous Wine region like Mendoza, if you’re not taking advantage of the cheap delicious wine – you’re missing out! Yes, I do not eat Beef or Pork, which means I am missing a SUBSTANTIAL portion of the Argentina cuisine, But none the less, Here is a list of some of the places I’ve been and I’ve loved! For more great restaurants, check out Guia Oleo for restaurant reviews. It is in Spanish, but just turn on your Auto Translate on your Browser. If you’ve ever been to Buenos Aires, You’ve been walking along the streets, enjoying the sights and sounds of this MASSIVE metropolitan, when all of a sudden you step on a loose stone in the sidewalk and you are sprayed with a wet substance. Ew nasty. And then it dons on you, it hasn’t rained in 2 weeks. Yes, you’ve just experienced you’re first dog urine wash. Really brightens your day those do! Every day, 400.000 canines deposit 68 metric tons of poop and 120.000 litres of urine in the streets, sidewalks, and parks in the capital city. Doesn’t sound like a Paris of South America anymore now DOES it? Big Dogs, Little Dogs, And everything inbetween! The city HAS tried to regulate the profession. 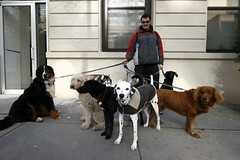 City authorities have limited the dog walkers to 10 animals at a time. But it is not the fault of the dog walkers for the satanic piles of poop on the streets. The dog walkers are quiet clean and pick up after their canine friends, it is the owners, who do not clean up after their animals. It is bad enough that the owners have poor relationships with their animals, but it is good that the dog walkers have a great relationship with them. So is there a solution? Will you one day be able to walk and enjoy the city sights instead of watching the sidewalks and playing “hop the heap”? Its hope the heap AND don’t step on the crack, since some I hope so. But with the current loose enforcement of the city laws, the game will continue for a while. Buenos Aires – Where Creepy and Fantastic come together. Lets wander the city and see what it has to offer this 2011 Halloween. The barrio of Montserrat is home to the Manzana de las Luces (Square of Enlightenment), BA’s historic centre for learning and high culture, and seems an unlikely setting for any serious Dan Brown-style action. Well stocked with culture vultures and academics, the area has quietly gone about the business of educating the children of distinguished families for four centuries. But like the fabled Illuminati, it guards its secrets well. Hidden beneath is a cobweb of tunnels, a virtual underground city, that dates to the Jesuit days of the 17th century. Speculation about the original purpose of the dark, dank tunnels remains: torture chambers, secret passages linking the Jesuit headquarters to churches, or defence tunnels in case of attack? The tour leads visitors from the Courtyard of the Jesuit Missions, through the House of Representatives and Presidency of Legislature and, finally, six metres into the tunnels. Getting there Peru 272, Plaza de Mayo. 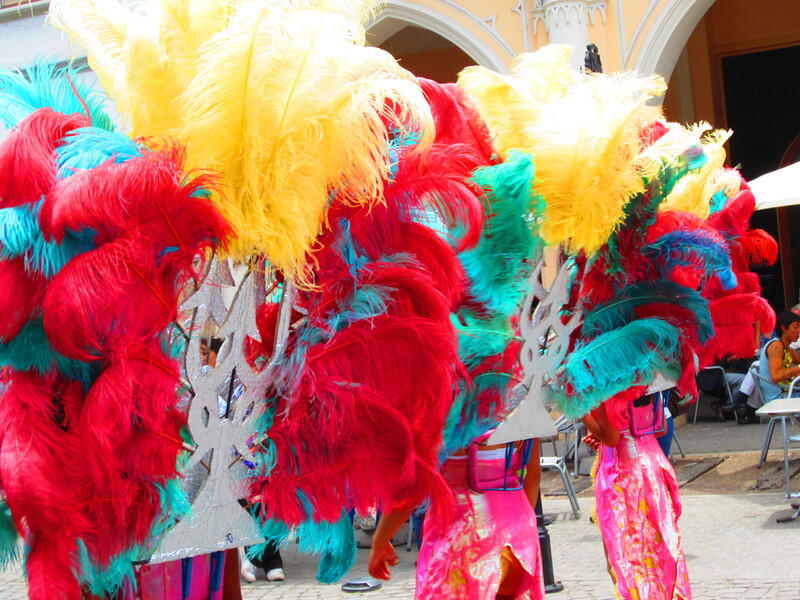 Spanish-language tours are held daily for 10 pesos (about $2). English-language tours can be arranged on request. manzanadelasluces.gov.ar. Home to a tortured artist and an eccentric widow, the Torre del Fantasma stands as the shadow of a wounded soul battling the tragedy of mediocrity. Confining herself to the top window of the tower, ‘Clementina’ painted until her fight for perfection became an obsession. Dissatisfied with her life’s work, the young artist threw herself from the top window of the tower, her blood spattering the side walk below and clogging the gutters of this quiet corner in La Boca. Neighbours heard the screams that pummeled the woman to the edge of insanity, but they were too late. Her ghost can still be seen in the top window. Sometimes her blood-curdling howls echo through the night. A tragedy of creative proportions: tortured in life by failure, haunted after death by the impossibility of improvement. Clementina will be pace behind the leaded window for as long as it takes to achieve perfection. This tragic tale of star-crossed lovers is as old as time itself. In 1872, one of the richest and most beautiful women in Buenos Aires, Felicitas Guerrero de Alzaga, was being courted by two men; a well-known dandy, Enrique Ocampo, and a rugged rancher, Saenz Valiente. She chose brawn over brain causing the dandy to fly into a jealous rage, shooting her twice before stabbing himself in the heart. Felicitas’s heartbroken parents had an enormous, Gothic church built in her memory, the only church in Buenos Aires not dedicated to a saint or religious figure. Its doors opened to worshippers on January 30, 1876, the fourth anniversary of Felicitas’s death. According to some, her ghost wanders the grounds, often seen wiping tears from her eyes. A tradition has developed in which women come to the church on January 30, tie a hanky to the gate and ask for help finding their own true love. Getting there Isabel la Catolica 520, Barracas/ Open on Saturday and Sunday, with free guided tours every Sunday at 11am. santafelicitas.org.ar. Subte Línea A, built in 1913, is the one of oldest underground trains in Latin America, and little has changed since it’s original construction. That in itself is a scary prospect. But moving beyond the rickety wooden carriages and the screeching track, lurks a far greater fear to face. Ghosts. They are everywhere. The tunnel of Línea A crawls with the spirits of the deceased. One hundred years of rail-road accidents, suicides – even a murder. First stumbled across by a rail technician, the site of man lying in a pool of blood on the bathroom floor of Sáenz Peña has been reported many times. The glass lanterns on the roof of the carriages flicker constantly, plunging the tunnel into complete obscurity, or dizzyingly illuminating the train with an eerie green glow. Passengers have reported seeing people dressed in the tweed garb of yesteryear weaving in and out of the shadows. Sometimes they patiently wait on the platform, checking their pocket-watches for the ticking of time, long gone. But once inside the carriage, they evaporate, their outlines faintly visible under the quivering lights. Between the subte stops, Alberti and Pasco, are the remains on an unfinished station. During the construction of this tunnel a tragic landslide took the lives of two workers. The station was abandoned. But as the train passes through the half finished platform, it is said that the two man can still be seen, working endlessly on a station that doesn’t exist. It’s said that after the double tragedy (lion mauling and suicide), ghosts of the couple began to appear, whispering, shouting, crying and making a nuisance of themselves. By way of exorcism, Eustaquio Diaz Velez replaced the real lions with sculptures on the arches of the entrance gates, doorknockers and throughout the park. As I pick my way through the overgrown garden I almost trip over a sculpture of a lion ripping a young man’s head off, a second sculpture “stalks” me through undergrowth. Today, the mansion is home to the Vitra Foundation, a rehabilitation centre for people with severe breathing problems. Inside, I am introduced to Anna, a long-term resident who, though completely paralysed, patiently recounts the entire story. Although it’s chilling and requires a lot of effort on Anna’s behalf, I am equally warmed by her generosity and spirit. Getting there Montes de Oca 140, Barracas. The Lions House is now a private hospital and you’ll need permission to enter the grounds. fundacionvitra.org.ar. The cemetery is a city of the dead in which 6400 vaulted tombs occupy the most expensive real estate in town. Spread over five hectares in a grid-like pattern of stately boulevards and elegant avenues, the mausoleums look like miniature mansions, the final resting place of presidents, poets and painters alike. Eva Duarte de Peron (Evita) might be its most famous “resident” but Rufina Cambaceres (the girl who died twice) is the most disturbing. Rufina was thought to be dead after suffering an epileptic fit and was entombed in 1902, on her 19th birthday. Tragically, she awoke inside the casket and clawed her fingers to the bone scratching her way out but died of a heart attack before making it to the front gates of the cemetery. Rufina’s family built a new tomb with a vault that has a sculpture of the pretty young woman holding the doorknob as if trying to get out. I dare you to look at Rufina’s sad face without getting the goosebumps. Getting there Calle Junin 1790. Open daily from 8am to 6pm. Free guided tours in English take place on Tuesday and Thursday at 11am. Buenos Aires Graffiti Culture and Tour. Jaz, Chu, Roma, Nerf, Banksy, PumPum, Zumi, Pastel. I am not going crazy. These are all names of famous graffiti artists in Buenos Aires, and I had the opportunity to learn all about them on my bicycle tour with GraffitiMundo. 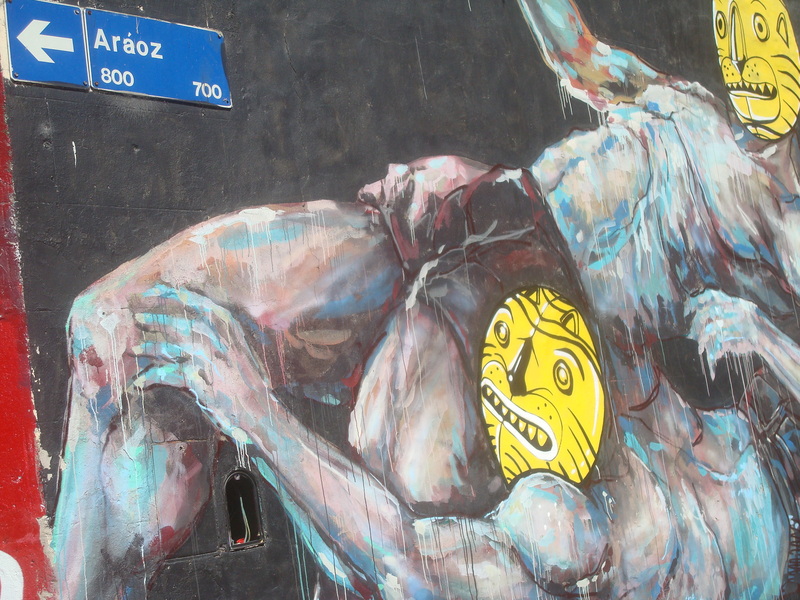 After living in Buenos Aires for 4 months, the unexpected joy is the lively graffiti art available everywhere. The graffiti is not simply tags everywhere but the Graffiti covers entire sides of buildings, the walls surrounding parks, and on the facades of houses. 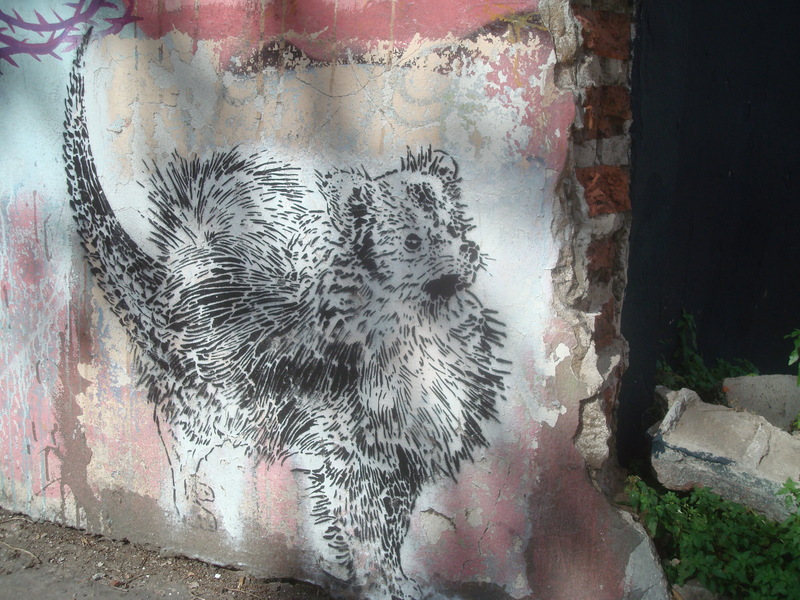 The graffiti is lively, playful, and embraced by the City. It is always there to brighten up the walls and the walks when exploring the city. 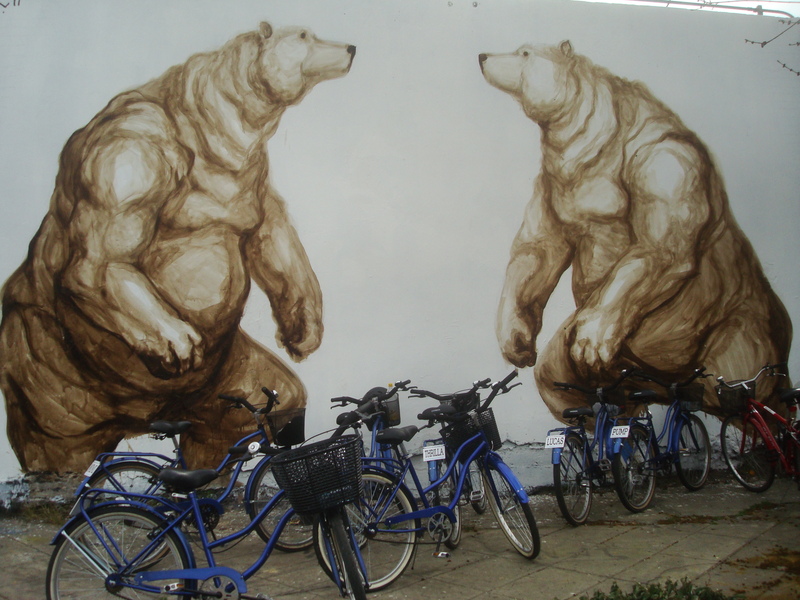 On one building there is a dainty blue panda bear sniffing a pink tulip under a tree of raindrops, and around the corner are two wrestlers embracing the midst of a fight. You never know what you will see around the next corner. 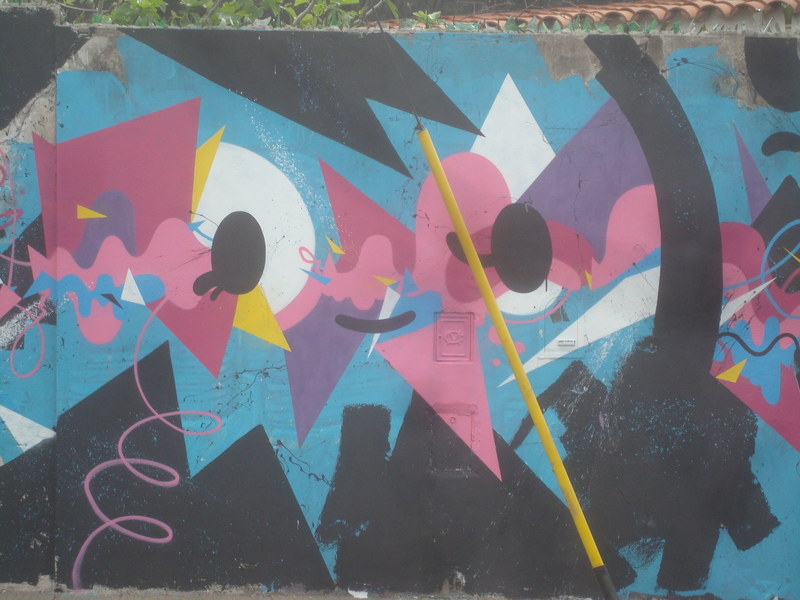 After doing some research, I came across GraffitiMundo’s city graffiti tours- In ENGLISH. I opted for the bicycle tour because what is better than mixing a thought provoking day of art and the pleasure of a casual bike ride on a beautifully sunny Buenos Aires Sunday? The answer is nothing. So off I went. The tour started at Vamos Spanish school on Coronol Diaz, which turns out – is only 10 blocks from my apartment. Perfect start to the day. I get there, with bikes lined up, and everybody slowly clustering – I get excited for what I am about to experience. We have 2 guides and a guide in Training with us because we had a “large group”. I had secured the last spot on the tour. We bike down streets with special bike paths, including Ave Gorriti, and stop along the way when graffiti appears, bright colour, and HUGE on a building wall. 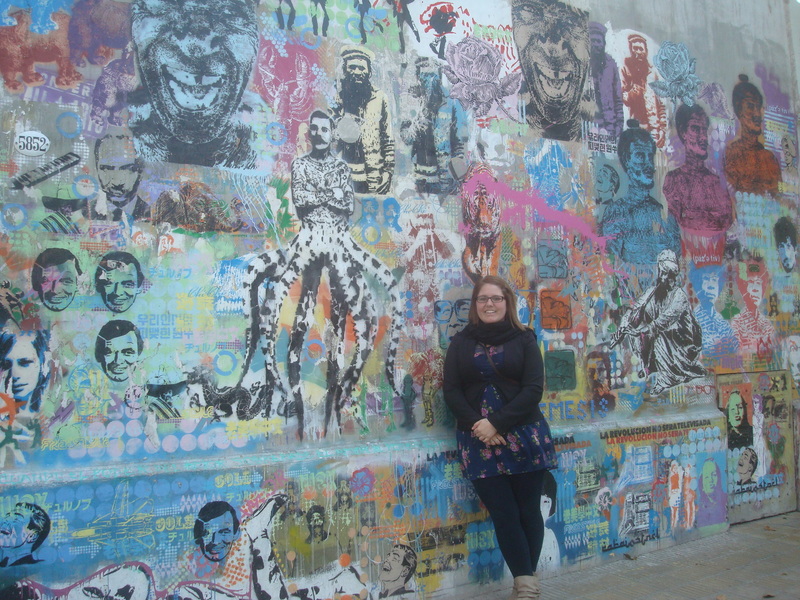 The guides were extremely friendly, and very knowledgeable about the history of Graffiti in Buenos Aires, the specific styles of Art, the art influences, and the individual artists themselves. They were always entertaining, and very keen to answer any questions the group had. She explained that the fundamental difference with the street art scene in Buenos Aires is the implicit co-operation of the police, who rarely hassle artists. And artists usually spend up to 3 days creating one piece of art. 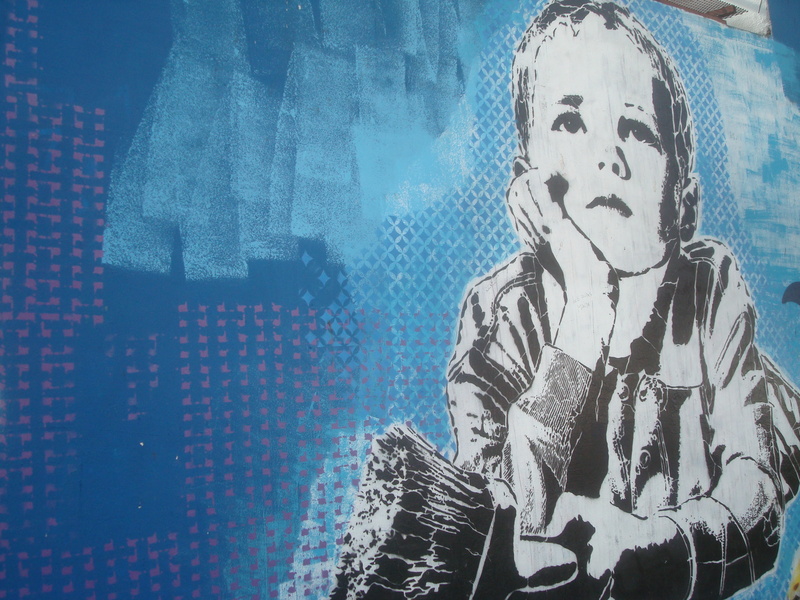 Graffiti art is not something that happens in the dark hours of the night by punk kids, quickly stenciling their name. No, it is encouraged, embraced, and opening painted on walls. My favourite explanation was how the Graffiti artists work together to incorporate their artwork together on walls. In the photo above you can see how the Red line crosses the entire wall and the pink across the top. The Toxic Wedding flows nicely into the blue/yellow faces with the black/white stenciled boy in the centre. 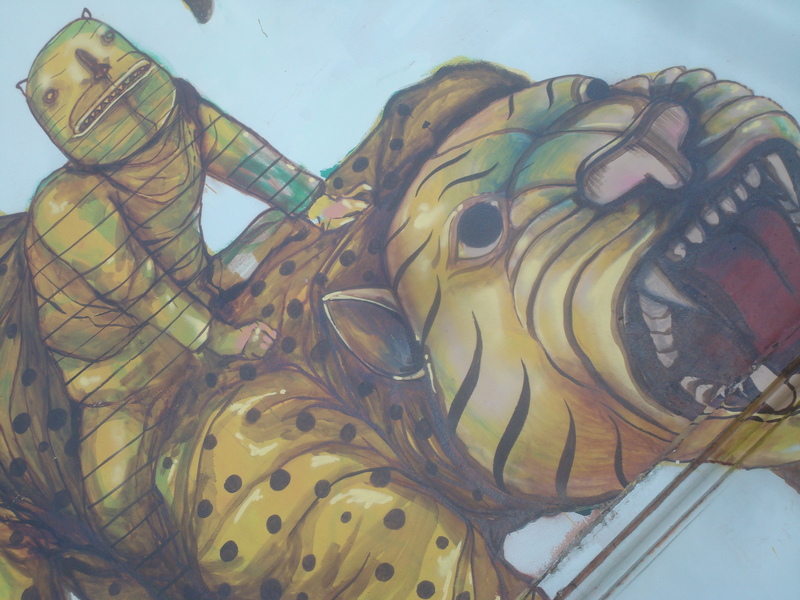 Everything is all nicely merged together so all art is showcased and there is no need to paint over the older artwork. 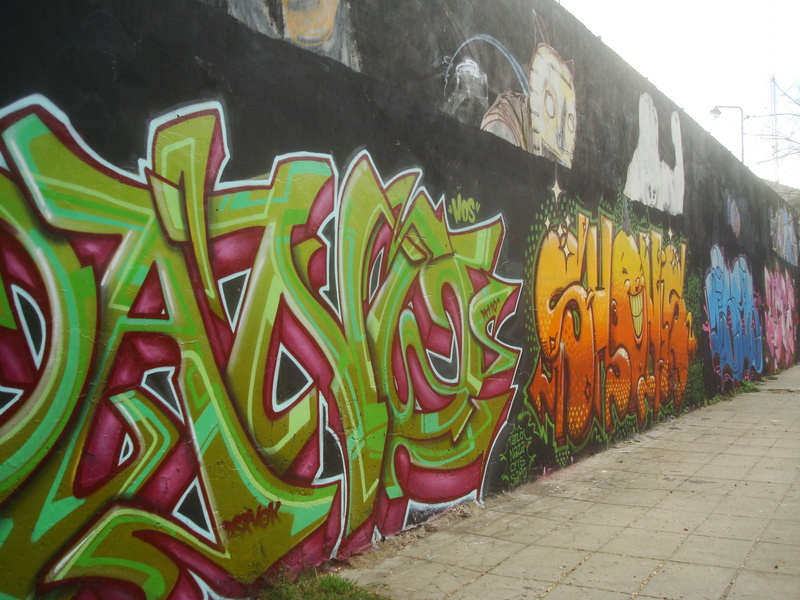 The city of Buenos Aires even embraces the Graffiti Culture allowing it to flourish by having the Graffiti Artists paint public parks and spaces purposely to deter Tagging and to create a positive, welcoming atmosphere for residents. 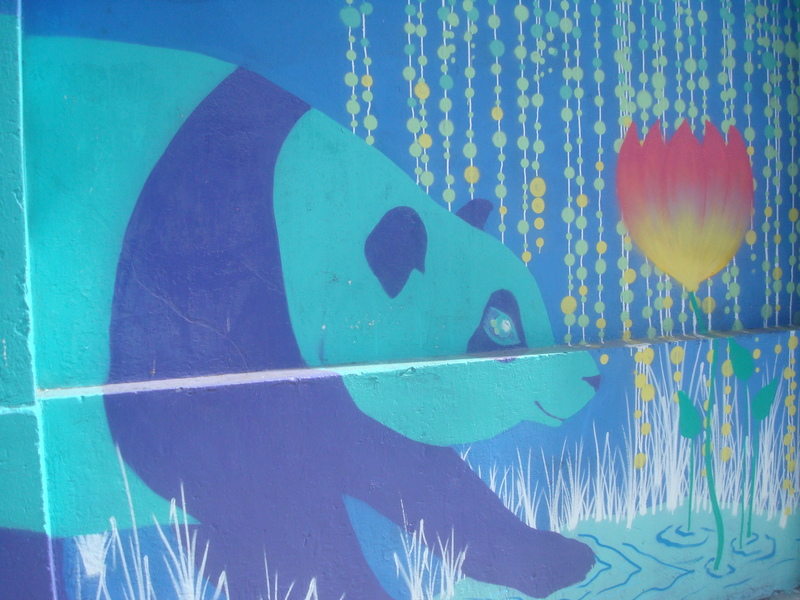 At one park in particular, Plazoleta Zinny (4158 Gorritti), The City welcomed the artists, to brighten up the park, deter taggers, and to help eliminate danger in the park. Now the park is bright, beautiful, and families and kids have returned to the park which improved the neighbourhood. 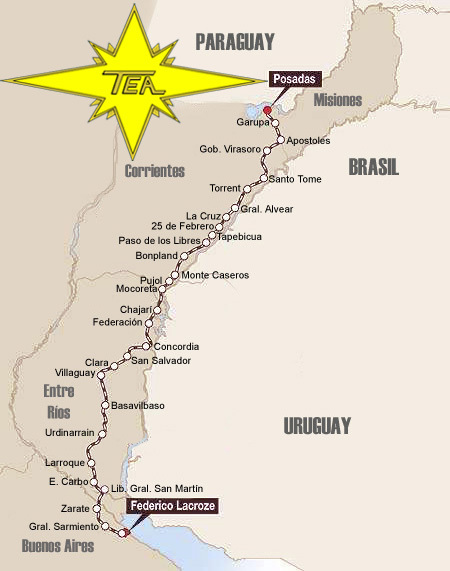 One of the best destinations on the tour was the bus terminal located at the triangular cross roads of Fitz Roy, Castillo, and Dr. Benjamin Canard in Chacarita Barrio (neighbourhood). The entire area showcases many different artists work, on all walls, houses, and polls. It was the epicentre of creativity and collaboration. I would still advise going on a tour because the information they provide is incredible and you will get the up-to-date information on the artists and even get the opportunity to visit a gallery and maybe even an artist where you can buy art at affordable prices! The Guia “T”. What is that? It is your Buenos Aires physical life line. Everybody has one – and you should too. 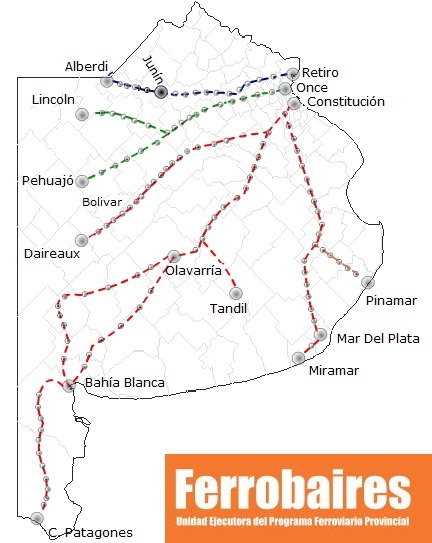 Mapa.BuenosAires.Gov.Ar. What is that? It is your Buenos Aires Virtual life line. Every uses it – and you should too. Guia T is a pun meaning Guide Yourself. And that is exactly what you will do. Instead of being intimidated by the Buenos Aires bus system – stop at any of the newspaper stands you see at all corners, ask for a Guia “T” (Gee-Ah Tea) 2011. And you have now saved yourself a lot of time, trouble, worries, and stress. 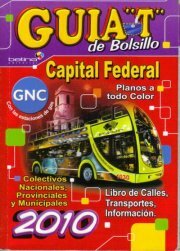 This handy little book is a little map of the city, with corresponding bus lines going from each area to the other areas. Turn to said Map and find proper Section (Map 8 – A4). Now you see switch buses over lap – In this case it is Bus number 152. 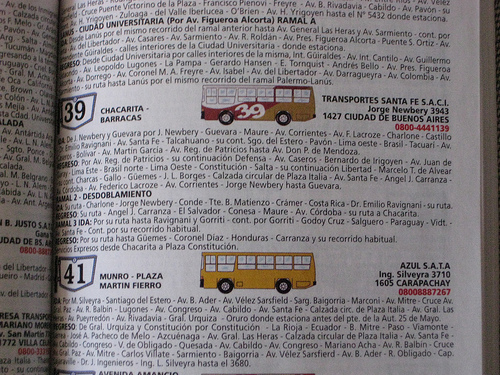 Go the white pages at the back of the book and look up bus number 152 to determine its route. In this case – You catch the bus on Santa Fe Av. and get off on Rivadavia or when you see the pretty pink Casa Rosada! Now in this instance – I realize it would just be easier to catch to Subway – But – the subway shuts down at night and is not safe late into the evenings – so this Guia T will really help. So what is this Mapa.BuenosAires.gov.ar? 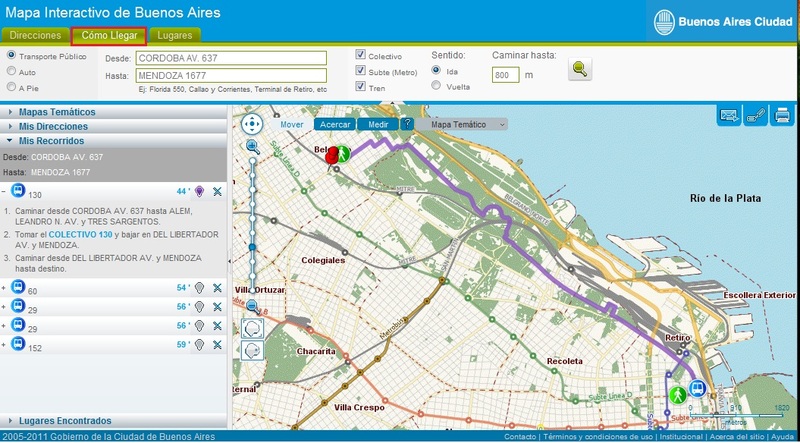 Well it in the interactive online travel map of Buenos Aires city. It is all in Spanish – but you click the middle button “Como Llegar”. In “Desde” type your current location and in “Haste” type your destination and Press the Search Button on the Right. It will give you multiple options with travel times along the side. Simply click the shortest duration time and it will show you the route and where to catch the bus/subway/train. Ps. Mendoza 1677 is the location of an AMAZING Asian grocery store where you can find all of the Western delights you might start to miss. Such as: Peanut Butter, Spices, Teriyaki and other Sauces, Cranberry/Grape Juices. As well as having an amazing selection of Asian food imports! Both of these resources will make your life and travels in Buenos Aires 100% easier. No more taxis – which although cheap – do add up – and you can experience the busses which are an extremely great system! 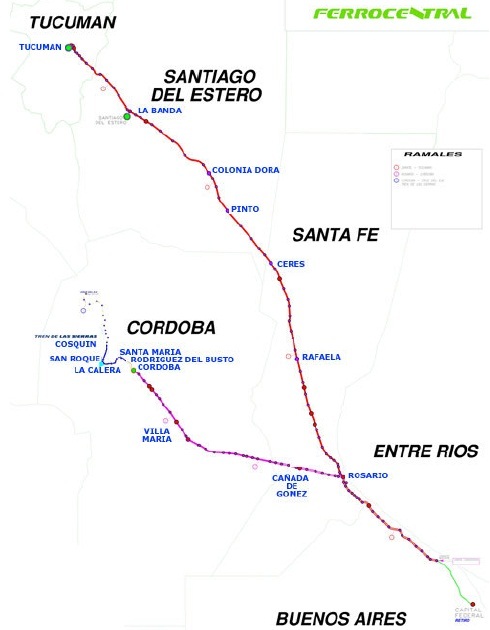 Did you even know there were trains in Argentina? With the excess of amazing buses – why take a train? Well – the buses are luxurious, with their cama (bed) feature, such as the first class sleeper beds on flights – and most provide great food and wine and champagne, but – with comfort comes a high price – and there is no exception in Argentina. Argentina bus prices are actually higher than in Canada. So Trains? What options are there? Coordinated by Bus from Apostoles Train station.